We’ve heard a little about the successor of the HTC One M8. The device, codenamed Hima, is said to offer top-of-the-line specifications, and will reportedly see the light of the day in March next year. 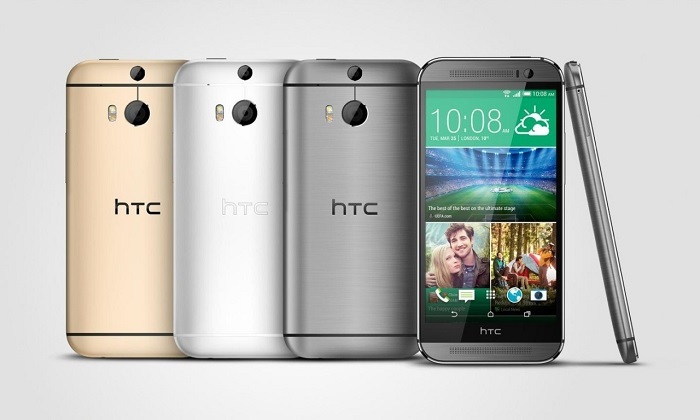 Recently, the Twitter leaked Upleaks revealed some additional information about the alleged HTC One M9 Hima, and mentioned it will come in three color options: gray, silver and gold — a similar line up as the current HTC One M8. The same leaker also revealed some information about the handset, and believes the alleged HTC One M9 Hima will feature a 5-inch display with a 1080p resolution, and will be powered by a 64-bit Snapdragon 810 processor. It’s a little strange to see the 1080p resolution as most flagship devices now boasts QHD displays. Furthermore, it’s expected to feature 3GB of RAM, 32GB of expandable storage, 2,840 mAh battery and a 20.7MP rear camera for photos and videos. It’s also rumored to feature either a 13MP front-facing camera or a 4MP UltraPixel unit. Rumor mill also suggests a Windows Phone version handset to be in works, but let’s just take this with a grain of salt. There’s no official confirmation from HTC about its existence so we’ll take it a rumor. We’ll update you as soon as we hear anything more about the handset.